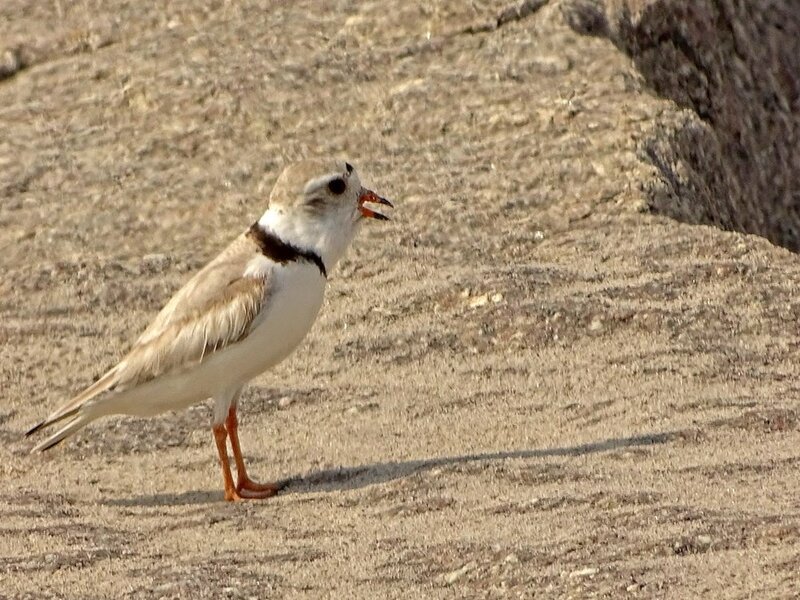 The little piping plovers (Charadrius melodus) nest in the sand at Fort Tilden and Breezy Point, in Jamaica Bay in Queens. 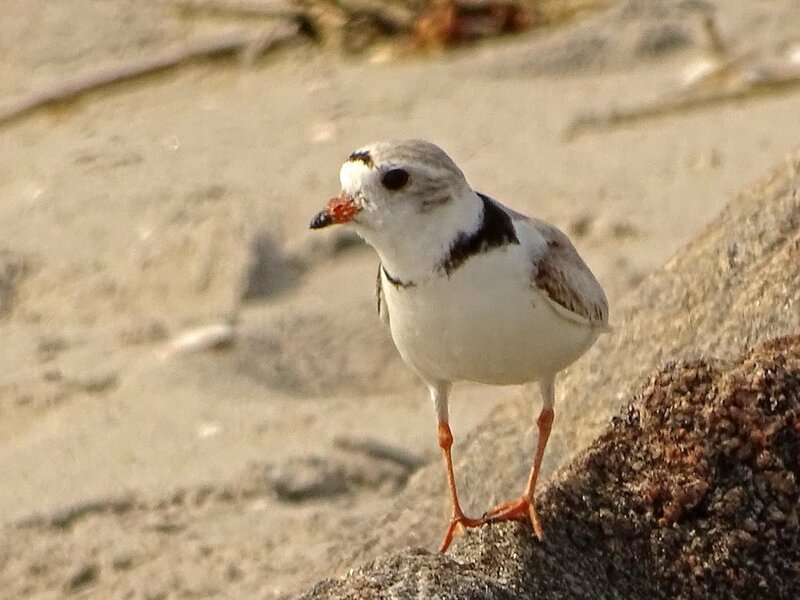 In 2018, the little birds have returned, and I saw my first of the year near the entrance to the beach at Fort Tilden on April 28. I visited the beach near their nesting area on June 14, 2017, and watched the adults and their chicks running around the sound near the water (the nests are roped off to protect the birds). 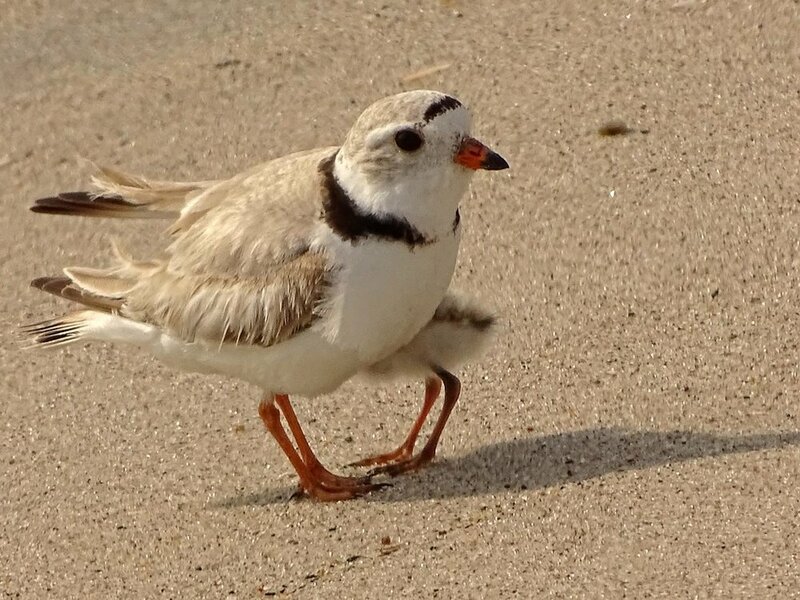 The video features these fast little birds, and shows adults and chicks running around, as well as some "distraction behavior," where the adult feigns a broken wing or injury to keep a possible predator's attention on the adult and not on the chicks. These photos were all taken on June 14, 2017, at Breezy Point.